We would like to extend our best wishes to you all. Thank you for your custom throughout 2017 and we look forward to serving you in 2018. 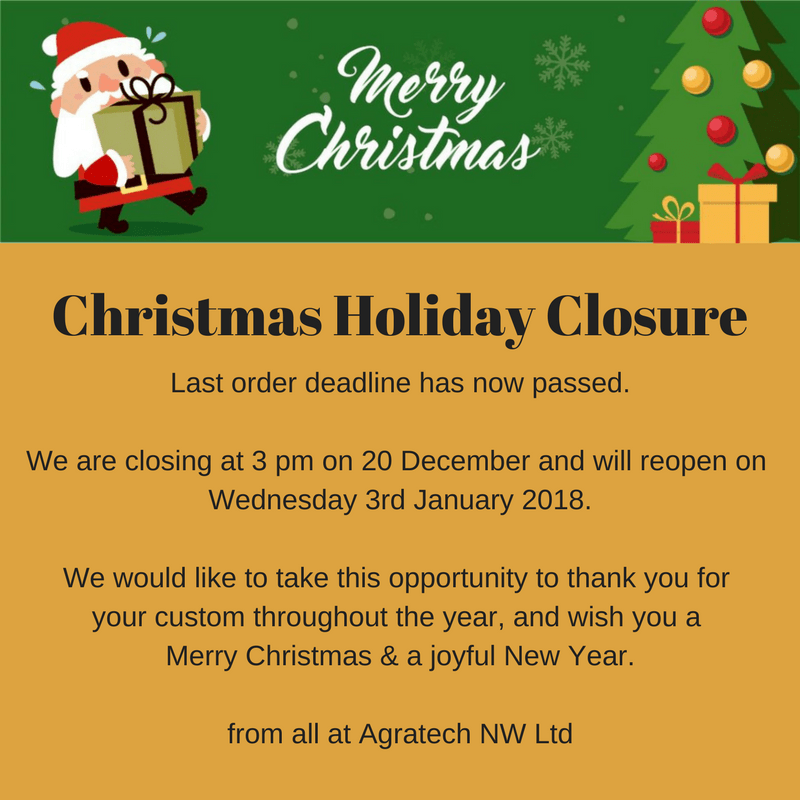 This entry was posted in Agratech News and tagged 2017 Christmas closure, agratech christmas clousure times on December 20, 2017 by agratech.